A recent post on the blog Life on La Lune spurred me into action – I had to get out and photograph some wildflowers before they faded!! 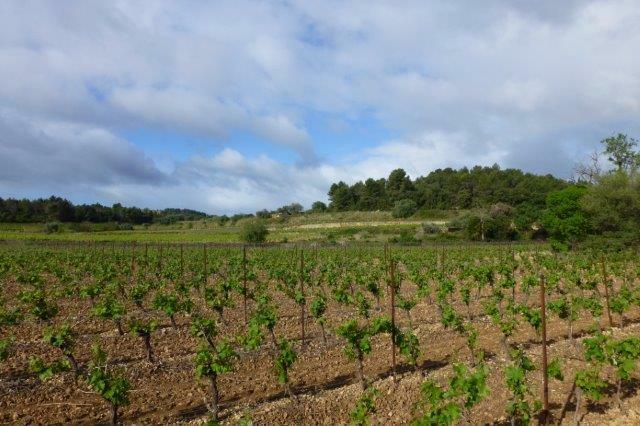 Today was the perfect day – we’d had rain yesterday and nature looked so lush and clean! Sturdy shoes – tick. Camera bag – tick. Spare camera battery – tick. 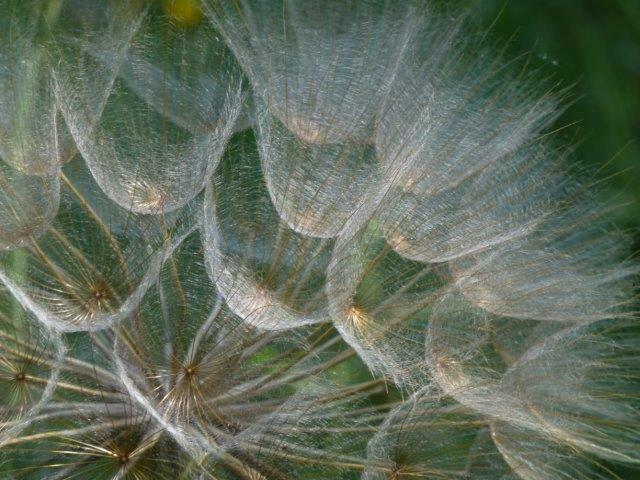 Macro lens – tick. In Saint-Chinian we are so lucky to be able to find great walks in pretty much every direction. Some walks are a little more challenging, such as the one I took today, but it is still an easy walk. I set off along the D177, leaving the market square in the direction of Assignan. 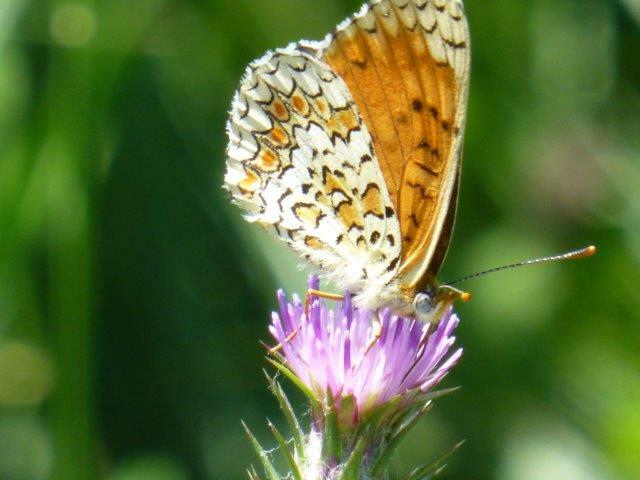 In Languedoc, there is something flowering at any time of the year, even if it’s just common daisies. 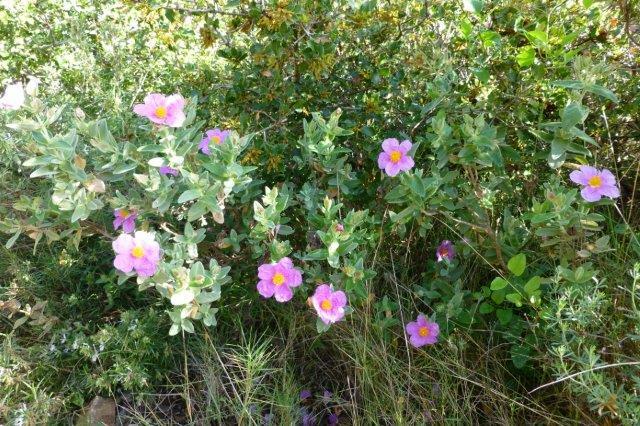 I promise you that you’ll always find at least one kind of plant flowering, whenever you go for a walk! 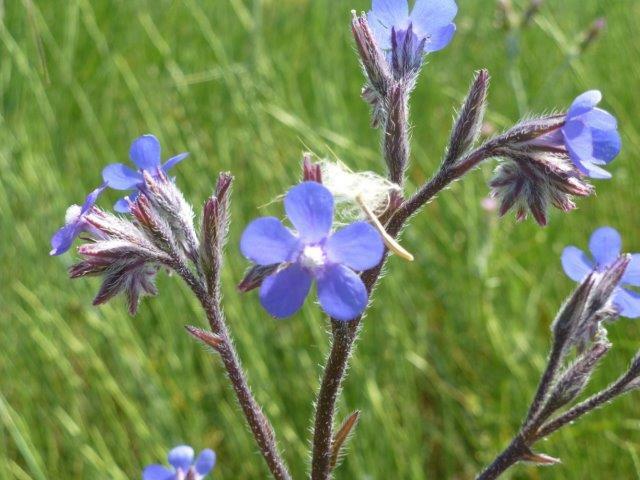 I kept my eyes open as I walked along the road – there are many flowers along the verges! The orchid below grew just on the other side of the ditch which runs along the road! 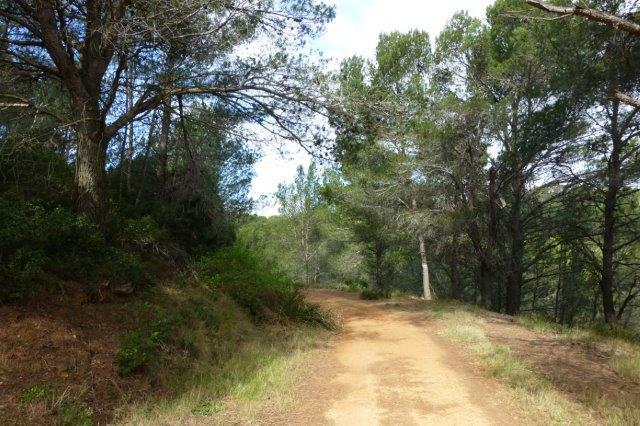 About 1 kilometre along the D177, a track turns off on the left and climbs the hillside. That’s where I continued my walk! 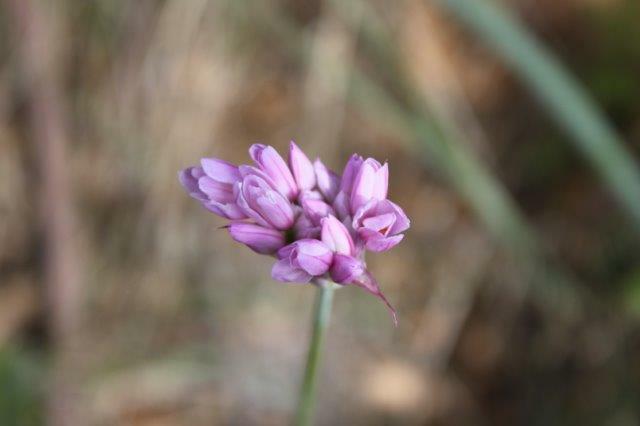 Soon after the turn I came across this pretty flower – it was absolutely tiny, smaller than the nail on my little finger. 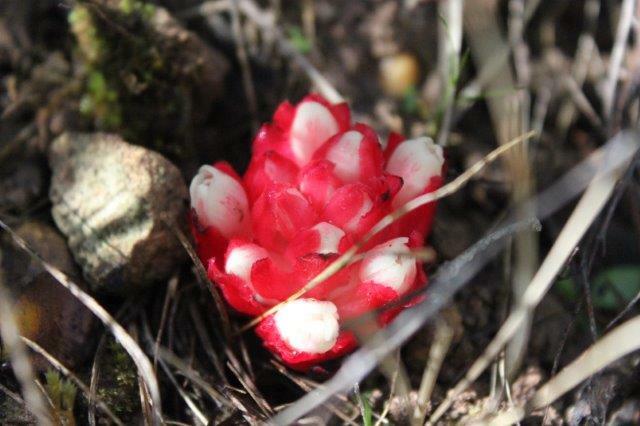 This plant with the pink flower bud was growing close-by, but I’ve no idea what it could be! Do you know what it could be? 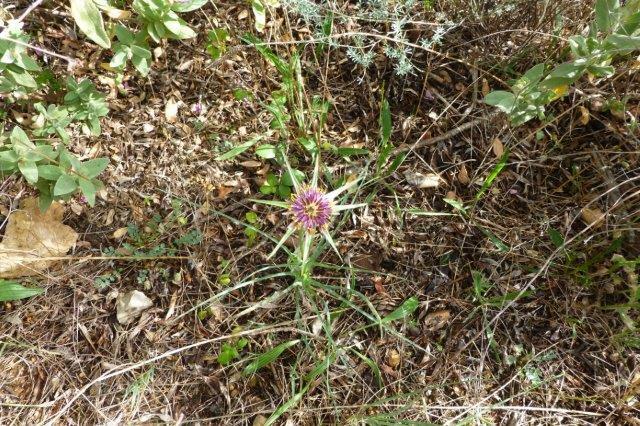 I was able to identify the following plant – ribwort plantain. 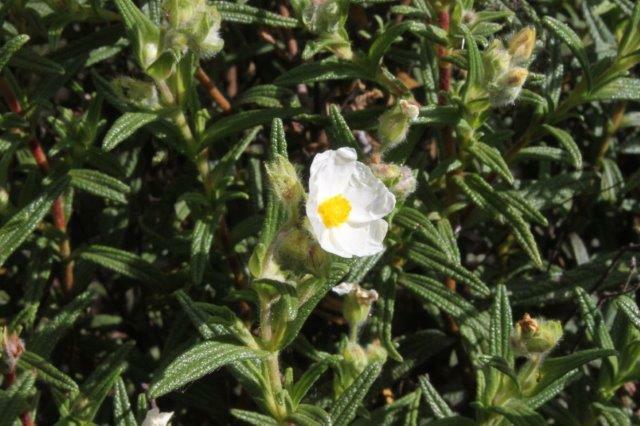 This simple herb is supposed to be highly effective for treating coughs and respiratory problems!! The path climbed fairly steeply until it came to a junction with Chemin de la Rouquette. I turned left here – the path continued level for some time, before it started to descend gently back towards the village. Wild thyme is flowering everywhere, and insects love it! I’ve not been able to identify the insect in the picture below left. I think the one in the picture below right is a bumble bee. 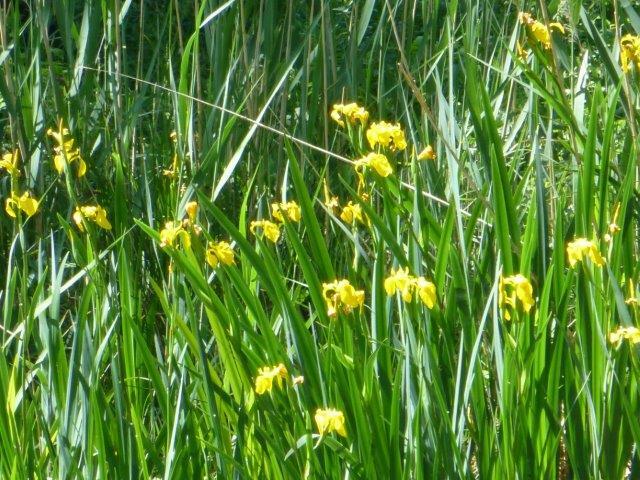 In our area, wild orchids can still be found quite easily – these three beauties were in a field. 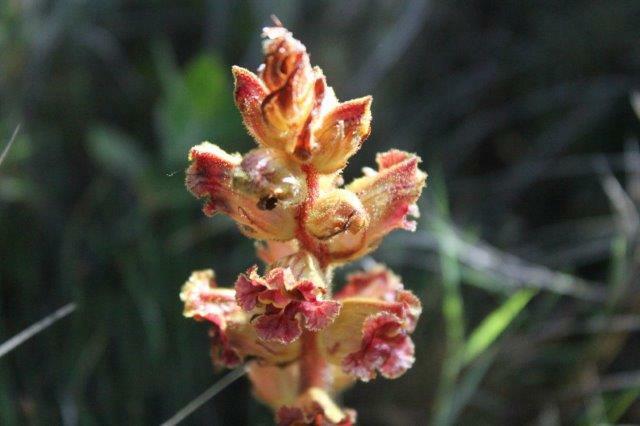 The following two lady orchids grew within two metres of one another – one appeared to get more sun than the other. Coronilla forms large shrubs, which flower abundantly in spring! Certain types of euphorbia flourish in our area – it’s a genus which has around 2000 members. The poinsettia we see at Christmas time belongs to it. 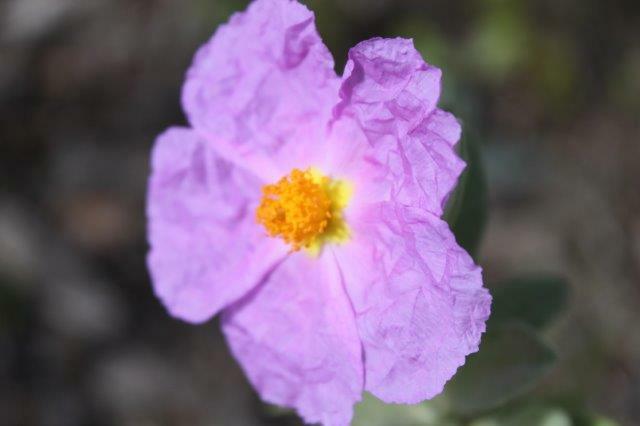 This delicate pink flower looked so beautiful – there was a little wind, so taking a photograph was challenging!! It was thrilling to see so many different orchids in one afternoon!! But there were many more humble flowers to be looked at!! As I got closer to the village, there were a few lovely views! What a wonderful finish to the walk – I feel so fortunate that I have all this on my doorstep!! Last Sunday I went for a trip down memory lane. 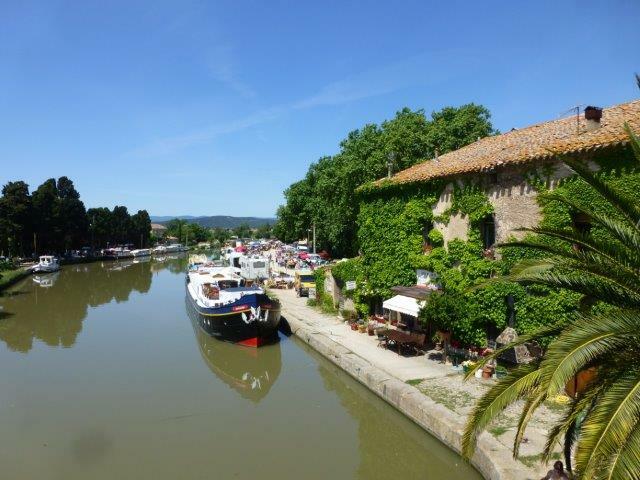 About 20 years ago, whilst going for a walk along the canal from the pretty village of Le Somail, I came across a little restaurant on the banks of the Canal du Midi. It must have been at about the same time of year as now. The restaurant was called La Cascade, after the water which cascaded through an overflow sluice in the canal right next to the terrace of the restaurant. The terrace looked very inviting, and so I stopped for a drink or an ice cream, or maybe both. The owners were very friendly and chatty, and I returned there many times for meals and celebrations. Sadly the restaurant closed down a good many years ago, but the memories remain! When I arrived at Le Somail I was surprised to see many cars parked everywhere. Yes, it was wonderful weather, and it was Sunday, but why would there be so many people visiting? 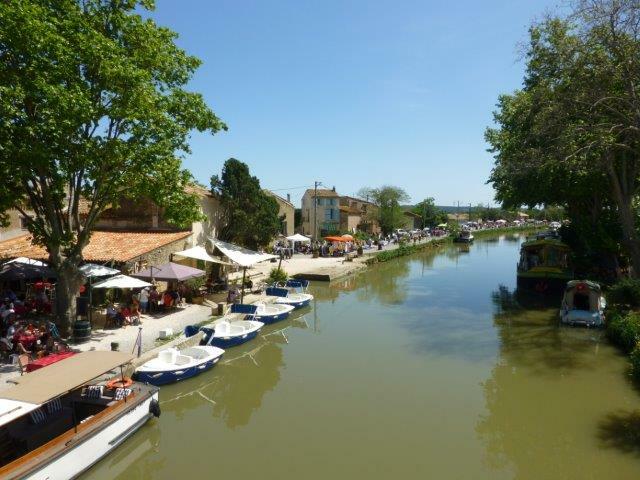 The answer appeared soon enough – the village was hosting a gigantic vide grenier (flea market)!! There were stalls on both sides of the canal, and lots of people browsing. The pictures below are taken from the bridge across the canal – you can probably see just how far the stalls stretch into the distance. I was headed in the direction of the big barge in the picture above. Once I had made my way through the milling crowds and reached the towpath, the peace and quiet of the canal descended. The plane trees here had not escaped the fungal disease, and for the first several hundred meters of my walk there was no shade. 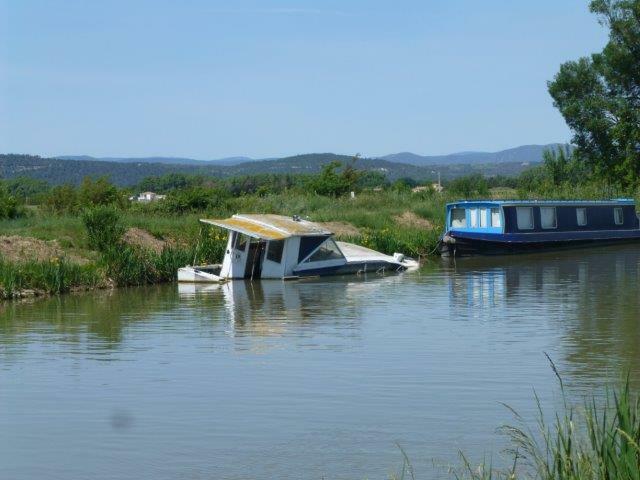 Boats were moored along the opposite bank to where I was walking – the little cruiser has definitely seen better days!! 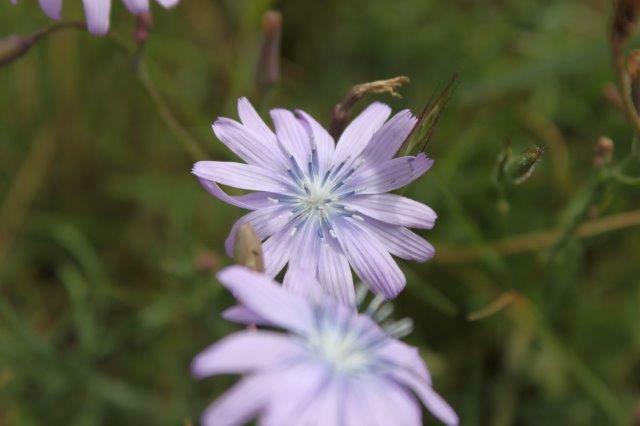 I’m not sure what the flower below is called – any suggestions? The nightingales were singing away, and in the distance there was a cuckoo calling. I took a brief video for you – make sure you turn on the speakers! E-mail subscribers, please go to the website to view the video. 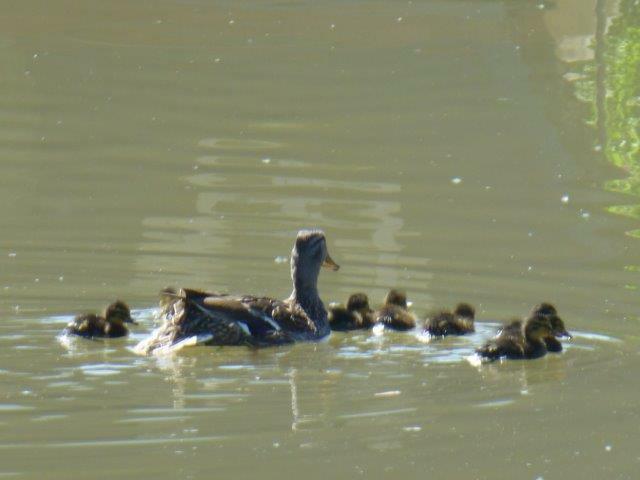 Along the way I came across this mother with her children – what a wonderful sight! I counted a total of nine chicks!! When I eventually reached what had been “La Cascade”, I was not surprised to see that it had changed – not beyond recognition, but it had lost the rustic charm it had once had. It appears that the building is now used as a private house. I hope that whoever lives in it now, is enjoying it as much as I enjoyed it when I visited all those many years ago. On my way back to Le Somail I took this picture – any ideas of what it could be? 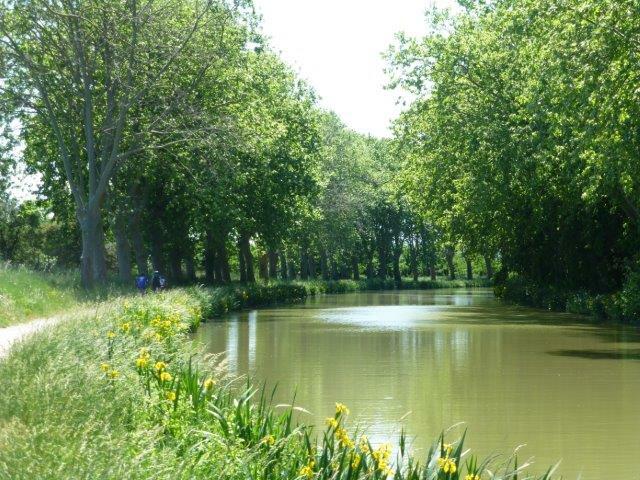 There are many wonderful walks along the Canal du Midi, and this was definitely one of them!